Lemax Log Cabin Dog House figurine piece on a single base depicts a seasonal decorated dog house with the family dog happily sheltering from the snow. A Lemax Village miniature figurine addition on snowed base suited for placement in a Lemax Christmas display. A recent addition to the Lemax catalogue joining the collection in 2015. 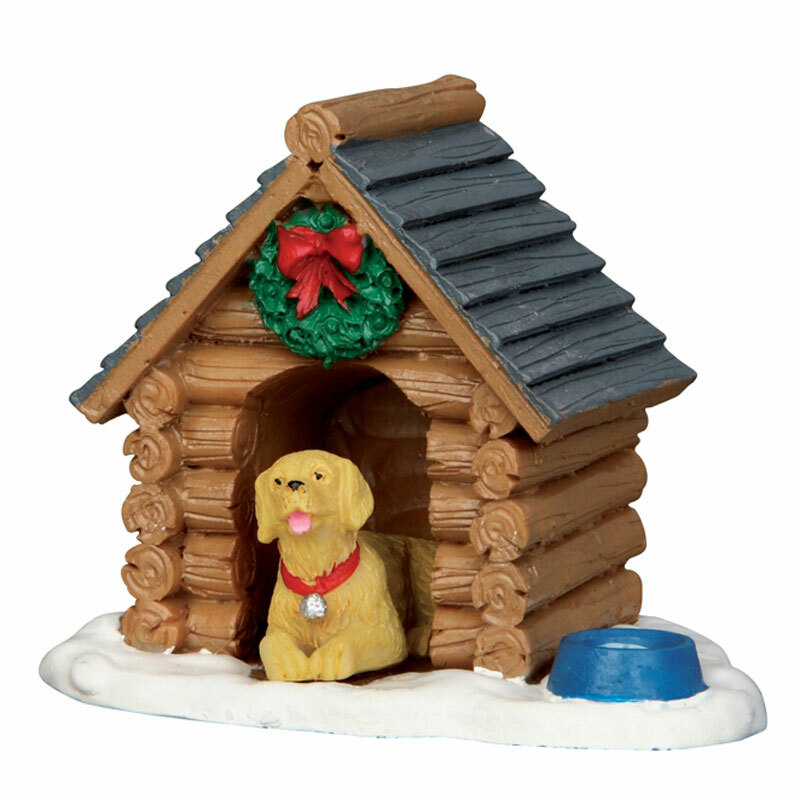 Log Cabin Dog House is a hand painted polyresin miniature mounted on a single snowed base to compliment your seasonal Winter Village display.